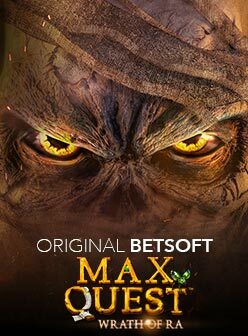 Netent invites you on a quest to uncover ancient ruins and reveal the treasure within. Lost Relics is a 5-reel and 5-row slot using the signature cluster pays method with a treasure trove of up to 60,000 coins to win! The slot puts you in a place of an archaeologist where your goal is to uncover the prizes that lurk at every turn. In support of this, the visual design takes the form of a stone wall, where ancient tools are suspended, buried beneath the dark surface of the earth. The four upper-value symbols include two gold trinkets, a Centurion's mask and a blade followed by four poker-suit symbols at the lower-value end. Upon a winning cluster in the main game, it is possible that you can randomly trigger up to a maximum of five instances of one of three possible random features: Extra Wild, Extra Scatter and Coin Win. If the feature happens to be the Extra Wild then three wilds are placed on any arbitrary positions not part of the winning cluster. 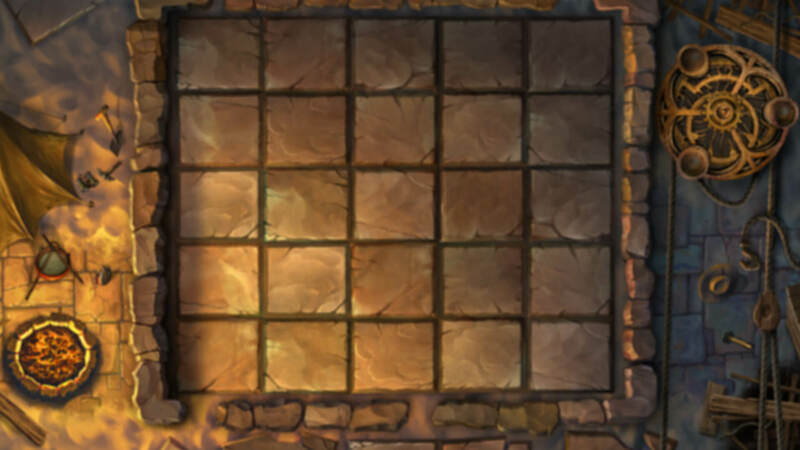 The wilds may help to trigger additional features but remember that the number of wilds appearing is capped at 15. If it is the Extra Scatter, one of the winning symbols grants you an extra scatter which is capped at 3. Finally, if it is the Coin Win then you can win between 3x and 30x your bet. When you land 3 scatter symbols during the main game you are granted 10 free spins as your reward. The scatters can appear randomly on the odd numbered reels or curteousy of the Extra Scatter Feature. An extension of the Free Games Feature, The Hidden Chest Feature involves a treasure chest which is hidden in an arbitrary position behind the reels. The size of the chest is random and can be small, medium or large which will determine the minimum instances of total features. You uncover the treasure by forming winning clusters and the positions then stay uncovered until you have exhausted your free spins or fully uncovered the treasure. If you have fully uncovered the treasure then you are granted a random combination and number of possible features: Sticky Wild, Coin Win or Extra Free Spins. The Extra Free Spins Feature awards an extra free spin which is capped at 25. When you are granted the Sticky Wild Feature, you receive a sticky wild which remains until the end of the free spins and you can have up to 6 sticky wilds. A Coin Win rewards you with up to 30x your bet. 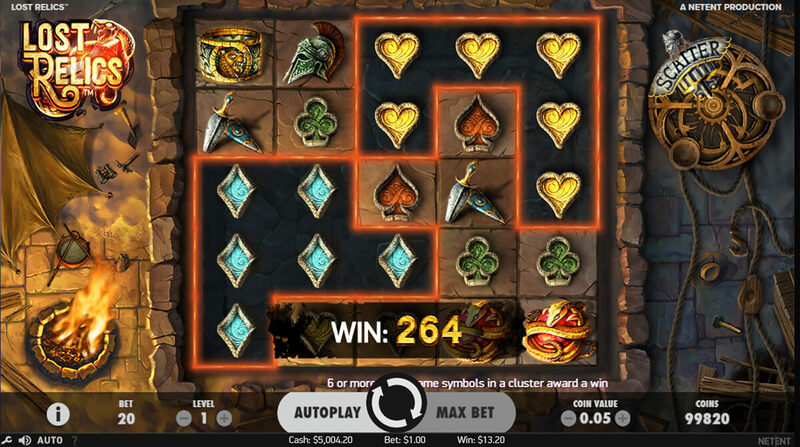 The bets in Lost Relics slot range from €0.20 to €400 and you can play with a coin range of 20 to 200. The theoretical return (RTP) of this slot is 96.3% and the game is available in HTML5 allowing you to play it on mobile, tablet as well as traditional desktop using an Android, iOS or Windows device. To calculate your win, you simply take the payout illustrated in the paytable multiplied by the coin value. 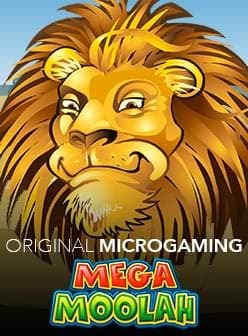 Fans of archaeological-adventure themes will enjoy this slot and to get started you simply need to visit one of our suggested casinos.